South Orange NJ, February 2, 2019 – By an overwhelming margin, the public wants instant replay for judgment calls such as pass interference, according to a Seton Hall Sports Poll conducted this week. Asked if replay review should be allowed for judgment calls like pass interference, 82% said yes, with only 10% saying no and the rest having no opinion or saying they did not know. Among those who said they followed the sport closely, even more, 89%, said yes, while only 7% said no. Regarding overtime possession rules, a majority of respondents polled said that each team should get at least one possession in overtime: 58% said that both teams should have the ball, with only 33% saying the rule (a touchdown on first possession ends the game), should be left alone. The poll received 985 adult responses across the country, using both landlines and cellphones, with a margin of error of +/- 3.2%. Perhaps the overtime rules wouldn’t have seemed so unfair if the Kansas City Chiefs hadn’t been playing the New England Patriots, who have made their way to the Super Bowl four out of the past five years. Nearly half of Americans say they are tired of seeing the New England Patriots in the Super Bowl. 46% said they were tired of seeing them, with only 25% saying their appearance would make the game more interesting. Among those who follow the NFL closely or very closely, the number rose to 62% who are tired of seeing them against only 27% who thought their appearance would make the game more interesting. The numbers are not very good for New England quarterback Tom Brady either, whose favorable rating has fallen to only 29% after a high of 61% in February 2015, when the Poll first asked about him. That was before the penalty for “Deflategate” was instituted, and his favorable rating fell to 34% by that October. Brady’s favorable rating was only 24% among women and 35% among men. While the overall rating is 29% favorable to 23% unfavorable, among those that follow the NFL closely it is even. Meanwhile, as legalized sports betting begins a growth period on a state-by-state basis, Americans had a strong feeling that it will inevitably lead to scandal. Asked if they believe legal betting can lead to cheating or fixing of games by players, 81% said yes, and 79% said it can lead to cheating or fixing of games by referees or umpires. What is music to a network ear however, is that 71% say they would be more likely to watch a broadcast of a game on which they bet. Even better news is by more than 5 to 1, people 18-29 are more inclined to watch a game they bet on. This is similar with Seton Hall Sports Poll’s finding when the question was first asked last fall. The Official Seton Hall Sports Poll podcast discussing this topic with Seth Everett and Rick Gentile can befound at https://itunes.apple.com/mt/podcast/seton-hall-sports-poll/id1053266467. This poll was conducted by telephone January 28-30 among adults in the United States. The Seton Hall Sports Poll is conducted by the Sharkey Institute. Phone numbers were dialed from samples of both standard landline and cell phones. The error for subgroups may be higher. This poll release conforms to the Standards of Disclosure of the National Council on Public Polls. The Seton Hall Sports Poll has been conducted regularly since 2006. Last year the Supreme Court ruled that betting on sporting events could be declared legal by individual states. Do you approve of this ruling, disapprove or do you have no opinion? Do you believe legal betting on sports events can lead to cheating or fixing games by players? Do you believe legal betting on sports events can lead to cheating or fixing games by referees or umpires? Do you participate in any pools or wagering on the Super Bowl? Would you watch the game if you weren’t betting on it or participating in a pool? Have you ever participated in any pools or wagered on the Super Bowl? Would you be more likely to bet on a sports event if it was legal in your state? If you placed a bet on a sports event would it make you more likely to watch the broadcast of that event? Is your opinion of Patriots’ quarterback Tom Brady favorable, unfavorable or do you have no opinion? How about Patriots’ coach Bill Belichick, is your opinion favorable, unfavorable or do you have no opinion? them in the Super Bowl? How closely would you say you follow the NFL, very closely, closely, not closely or not at all? There was controversy regarding the NFC and AFC Championship Games last week because of calls, or non-calls by the referees. Do you think replay review should be allowed for judgment calls like pass interference? In the NFL if the team that wins the coin toss for the overtime period elects to receive the ball and then scores a touchdown on the first drive, the game is over. This just happened in the AFC Championship game between the Patriots and Chiefs. Do you think both teams should have a chance to possess the ball at least once in the overtime period or should the rule remain as is? This entry was posted in DFS, Fantasy Sports, Football, Gambling, General News, Poll Results, Professional, Sport and tagged Football, Nation Tired of Patriots, New England Patriots, New Orleans Saints, NFL, Pass Interference, Poll Results, Referee, Roger Godell, Rule Changes, Seton Hall Sports Poll, Sharkey Institute, Sports Betting, Sports Gambling, Super Bowl, Tom Brady on February 2, 2019 by Michael Ricciardelli. As leagues move towards embrace of gambling, 70% say they’re more likely to watch a game if they wager, but 61% say it will lead to cheating or fixed games. South Orange, NJ, November 30, 2018 — If you bet that wagering on a game leads to greater viewership – you’d be right. A survey by the Seton Hall Sports Poll has found that 70% of Americans say they would be more likely to watch a game they bet on. In a week in which Major League Baseball announced a marketing partnership with MGM Resorts, the era of “No Betting Permitted” signs at ballparks is over, and the fans seem to love it. But it is a double edge sword – 61% say they believe that legal betting on sports events leads to cheating or the fixing of games. But oh that 70% of heightened interested in watching games is music to a sports league’s ears. Within that, the poll found that 88% of those age 18-29, the coveted demographic loved by sponsors and hardest to reach – would be more likely to watch if they placed a bet. The poll was conducted this week across to country to 741 adults on landlines and cellphones, and has a +/- 3.7% margin of error. Asked if they were more likely to bet on a game if they could do it with their cellphones, 64% of those 18-29 said they would do it. 40% of the overall sample said they would be more likely. Younger people, in fact, have less resistance to gambling. On the question of whether legalized sports gambling is creating a compulsive gambling problem, only 5% of those 18-29 strongly agreed, while the number grew to some five times that among older respondents. (21% of those 30-44, 28% 45-59 and 30% over 60). 40% said they approved of the Supreme Court’s ruling that betting on professional sports could be declared legal by individual states, with only 16% disapproving. The gender breakdown was dramatic here, with 52% of men favoring the court’s decision, but only 28% of women. The gender gap repeated in a question of whether betting should be limited to pro sports or extended to college sports. 42% said pro and college, 35% said just pro – but 51% of men said pro and college, with only 33% of women agreeing. Of the 33% who say they have bet sports, 51% believe gambling leads to cheating or fixing of games vs. 61% of the overall public. Of the 33% who say they have bet on sports, 31% agree that legalized sports gambling is creating a compulsive gambling problem in this country (43% overall agreed); 49% said they would be more likely to wager if it was legal in their state (vs. 31% overall), 77% said they would be more likely to watch games they bet on (vs. 70% overall), and 56% said they would be more likely to gamble on sports if they could bet using a cellphone (vs. 40% overall). This poll was conducted by telephone November 26-28 among adults in the United States. The Seton Hall Sports Poll is conducted by the Sharkey Institute at the University’s Stillman School of Business. 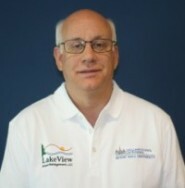 Phone numbers were dialed from samples of both standard landline and cell phones. The error for subgroups may be higher. This poll release conforms to the Standards of Disclosure of the National Council on Public Polls. The Seton Hall Sports Poll has been conducted regularly since 2006. The Supreme Court recently ruled that betting on sporting events could be declared legal by individual states. Do you approve of this ruling, disapprove or do you have no opinion? Do you think legal sports betting should be limited to professional sports or should betting on college sports be legal as well? 1) It should be allowed and taxed since a lot of people do it anyway. 2) It shouldn’t be allowed since it promotes too much gambling and damages the integrity of sports. Should gambling on sports be regulated on a state-to-state basis or by the federal government? Tell me whether you strongly agree, somewhat agree, somewhat disagree or strongly disagree with the following statement: Legalized sports gambling is creating a compulsive gambling problem in this country. Do you believe legal betting on sports events leads to cheating or fixing games? Is betting on sporting events legal in the state in which you reside? Would you be more likely to bet on a sporting event if it was legal in your state? Have you ever placed a bet on a sporting event? Have you ever participated in a Super Bowl pool involving money? Have you ever filled out brackets for the NCAA basketball tournament for cash prizes? Have you ever wagered money on a daily fantasy website like DraftKings or FanDuel? If you placed a bet on a sporting event would it make you more likely to watch the broadcast of that event? Do you think you would be more likely to gamble on sports if your were able to place a bet using your cell phone as opposed to going to a casino or gambling parlor? How closely do you follow sports, very closely, somewhat closely, not closely or not at all? This entry was posted in Baseball, Baseball, Basketball, College, Fantasy Sports, Football, Gambling, General News, Hockey, Media, Poll Results, Professional, Sponsorship, Sport and tagged Advertising, Baseball, College Sports, DFS, Draft Kings, FanDuel, Fantasy Sports, Football, Gambling, MLB, NBA, NCAA, Poll Results, Seton Hall Sports Poll, Sharkey Institute, Sports Betting, Sports Gambling, Super Bowl on November 30, 2018 by Michael Ricciardelli. South Orange, NJ, November 2, 2018– With the NFL having instituted a number of new safety rules this season, the football-loving public has weighed in, with 31% saying the game is less enjoyable, and only 11% saying it is more enjoyable. 54% say it has no effect. Among men, 35% say it is less enjoyable, and among women, the number is 15%. 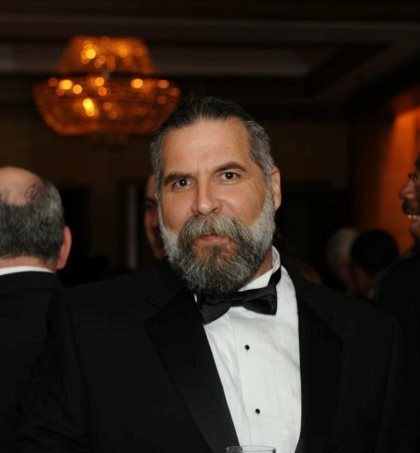 “It is noteworthy that men prefer the more violent game, as articulated by President Trump,” noted Rick Gentile, director of the poll, which is sponsored by the Sharkey Institute. Responses are based on the number of people (469) who have said that they have watched NFL games this season. The poll was conducted October 29-31 among 839 adults across the country, on landlines and cellphones. Of the group that has watched the NFL this year, the sampling has a margin of error of +/- 4.6%. The poll also asked the “watch NFL group” questions about officiating, and it found that 24% believe officiating has gotten worse, with only 11% saying it has improved. 54% said it remained the same. Meanwhile, the NFL took the unusual step of firing an official after five games, the first time a ref was fired in mid-season in 50 years. 40% of fans (from the full sample) called that a positive move, with 28% calling it a PR stunt. Have you watched any NFL games this season? The NFL has adopted several new rules designed to increase player safety, including leading with the helmet in making a tackle. Have the new rules made the game more enjoyable to watch, less enjoyable or have had no effect? Do you think officiating in the NFL this season has generally improved, gotten worse or remained the same? An NFL referee was fired after 5 games this season for bad performance – the first time a ref was fired in mid-season in 50 years. Do you think this is a positive move by the league or a PR stunt to answer criticism of general bad officiating? This entry was posted in Advertising, Fantasy Sports, Football, Gambling, General News, Poll Results, Sport and tagged Advertising, Concussions, Football, NFL, NFL Referee Fired, Poll Results, Referee, Rule Changes, Seton Hall Sports Poll, Sharkey Institute, Sports Gambling on November 2, 2018 by Michael Ricciardelli. 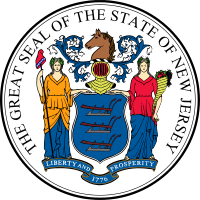 South Orange, NJ, May 16, 2018 — Concern over the integrity of sports results has gone hand in hand with the question of legalized gambling over the years, and Monday’s Supreme Court ruling, which ended the federal ban on sports wagering, has intensified the discussion even further. The most recent Seton Hall Sports Poll (conducted April 23-25 among 736 adults in the U.S. with a +/- 3.7% margin of error), found that 48% feel legalized sports betting would negatively impact the integrity of sporting events. This was consistent with a poll taken by the SHSP in 2014, when 49% answered affirmatively to the same question. When the question was posed in 2012, 53% said the sports integrity would be negatively impacted. This poll was conducted by telephone April 23-25 among 736 adults in the United States. The Seton Hall Sports Poll is conducted by the Sharkey Institute, with cell phone interviewing provided by Braun Research. Phone numbers were dialed from samples of both standard landline and cell phones. The error due to sampling for results based on the entire sample could be plus or minus 3.7 percentage points. The error for subgroups may be higher. This poll release conforms to the Standards of Disclosure of the National Council on Public Polls. Would you be in favor of legalized betting on sports events? Would you be in favor of betting on just professional events or should betting on collegiate events be legal as well? Do you think legalized sports betting would negatively impact the integrity of sporting events? The US Supreme Court is about to rule on whether states should be allowed to legalize betting on sports events or whether it should be up to the federal government to decide. Do you think sports betting should be under state control or federal control? This entry was posted in Baseball, Basketball, College, Fantasy Sports, Football, Gambling, General News, Level, Poll Results, Professional, Sport and tagged Baseball, College Sports, DFS, Draft Kings, FanDuel, Fantasy Sports, Football, Gambling, MLB, NBA, NCAA, NFL, NHL, Poll Results, Seton Hall Sports Poll, Sharkey Institute, Sports Betting, Sports Gambling, Super Bowl, World Series on May 16, 2018 by Michael Ricciardelli. South Orange, NJ, April 26, 2018 — By a margin of 55% – 35%, the American public favors legalized betting on sports events, according to a poll conducted this week by the Seton Hall Sports Poll. And by a margin of 48% – 42%, those same respondents feel that legalized betting would negatively impact the integrity of sporting events. Even among those favoring legalized gambling, one of three believes that it would have a negative impact. The poll was conducted over landlines and cellphones to 736 randomly selected people across the country, and has a margin of error of +/- 3.7%. 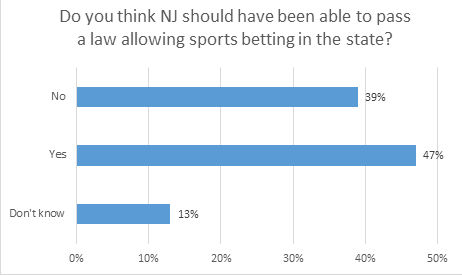 The poll also asked whether people feel that sports betting should be controlled by individual states, or by the federal government. (The U.S. Supreme Court is about to rule on that issue). 62% said sports gambling should be under state control, with 27% saying the federal government should control it. Broken down by gender, men are much more inclined to support legalized betting, with 63% saying yes. Only 47% of women favored legalized betting. Approval fell significantly by age, with 68% support from ages 18-29, down to 37% at age 60 and over. Similarly, the support number fell based on level of education, with 71% supporting legalized gambling among those who did not finish high school, to 39% for those with post-graduate degrees. Those who favor legalized betting think it should cover both professional and college sports by a margin of 49% – 36%. This entry was posted in Baseball, Basketball, DFS, Fantasy Sports, Football, Gambling, General News, Poll Results, Sport and tagged Christie v. NCAA, Fantasy Sports, Gambling, MLB, NCAA, NFL, PASPA, Poll Results, Professional and Amateur Sports Protection Act, Seton Hall Sports Poll, Sharkey Institute, Sports Betting, Supreme Court, U.S. on April 26, 2018 by Michael Ricciardelli. The results: 52% said “yes” that an NFL game “could be rigged by outside influences” with 42% saying “no.” For an NBA game, 51% said yes; 42% no. For college sports the margins were closer: for a college football game, it was 47% yes, 46% no, and for a college basketball game, it was 46% yes, 45% no. And pointedly, 47% of Americans said “yes” a presidential election “could be rigged by outside influences,” while 46% said “no”. In each case, between 7-9% said they did not know. The poll was conducted last week – October 24-26 – among 841 adults (landline and cellphone) with a margin of error of +/- 3.4%. 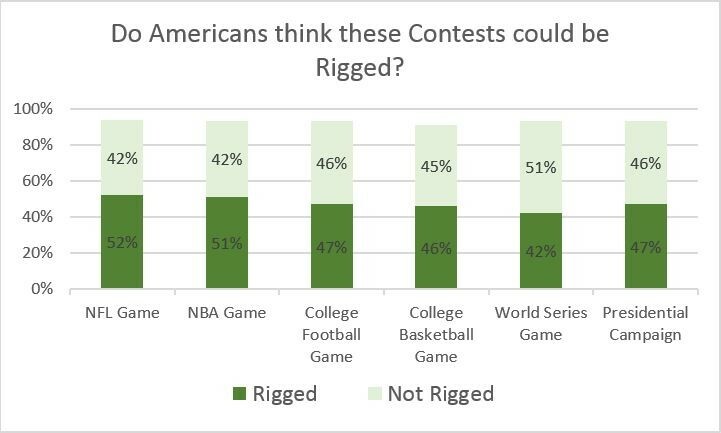 Asked whether the presidential election “could be rigged,” 47% said yes, and there is a great deal of overlap in the people that believe in rigging – of that 47%, some two-thirds said yes, the NFL or NBA could be rigged, and somewhat fewer – 57% – said the World Series could be rigged. This poll was conducted by telephone October 24-26 among 841 adults in the United States. The Seton Hall Sports Poll is conducted by the Sharkey Institute. This entry was posted in Baseball, Basketball, DFS, Fantasy Sports, Football, Gambling, General News, Poll Results, Sport and tagged Baseball, DFS, Donald Trump, Draft Kings, Election Rigged, FanDuel, Fantasy Sports, Football, Gambling, MLB, NCAA Tournament Ban on DFS Ads, NFL, Politics, Poll Results, Presidential Elections, Rigged, Seton Hall Sports Poll, Sharkey Institute, World Series on October 31, 2016 by Michael Ricciardelli. Professor Scott Rothbort of the Stillman School of Business cited findings of the Seton Hall Sports Poll in an article he wrote for MarketWatch. Daily fantasy sports or “DFS” sites have been all the rage recently, as its advertising has inundated the airwaves, participation has surged and controversy has taken root. Governmental regulators and attorneys general have voiced their opinions as to its legality (or lack thereof) in hearings and pronouncements too numerous to list. Furthermore, there was even an “insider trader” case which raised some concerns as to fairness in these sports fantasy leagues. In other words, there’s a lot of heat being generated in the space. Is it a passing fad or is there something lasting here as a business? And if so, what does that mean for a potential investor (as opposed to a player)? The Seton Hall Sports Poll, conducted by the Sharkey Institute at Seton Hall University‘s Stillman School of Business, recently asked the public what they thought about DFS: Are these games of skill or gambling; should they be regulated; and, should they be legal? In the November poll, 50% say they believe it is a form of gambling, 30% say it is a game of skill and 20% did not know. This compares to the same poll conducted in September in which 52% said gambling, 31% responded skill, leaving 17% who did not know. The lack of any real movement in these numbers, despite all the controversy during the time between the polls, indicates a solid result. Also in the November poll, on the question of should there be state regulation: 51% said yes and 35% said no. As to legality, in the same poll, 54% said it should be legal and 38% said illegal. The takeaway from these polls is that a majority of respondents believe that the sports-fantasy industry should be legalized and regulated. That is really what the attorneys general want. By doing so, this would enable the states to: control the activities, impose licensing fees, and make sure they get their fair share of taxes from winnings. The IRS already requires the issuance of a 1099 form for winnings over $600, much like what is done at the racetrack, and hence the federal government already has its finger in the sports fantasy pie. I am not a regulator or an attorney. I am an investor and finance professor. My questions are not on legality or gambling but … how can you make money by investing alongside the fantasy sports industry? Read more. This entry was posted in DFS, Fantasy Sports, Gambling, General News, Media, Poll Results, Sport and tagged DFS, Draft Kings, FanDuel, Fantasy Sports, Investment, NFL, Seton Hall Sports Poll, Sharkey Institute on December 3, 2015 by Michael Ricciardelli. South Orange, NJ, November 19, 2015 — 73% of Americans say they are either very or somewhat concerned about attending a sporting event in a large venue, following the Paris attacks last week which included terrorist activity outside of Stade de France during a major soccer match. The Seton Hall Sports Poll was conducted this week (Nov 16-18) among 879 random adults across the country, reached by landline and cellphone. 34% said they were very concerned, 39% said they were somewhat concerned, and 23% said it made no difference. The Paris attacks took place last Friday. The poll has a margin of error of 3.3%. The Poll also asked whether the threatened strike by the University of Missouri football team, in the wake of reaction to racial tensions on campus by the University president, was appropriate – the question being, “Do you think a school sponsored sports team should involve itself in campus politics?” On this the nation was evenly divided, with 44% saying yes and 46% no. However, among those 18-29, the “yes” received a 57% to a 37% “no,” while those over 60 were 38% to 50%. BAN ALL RUSSIAN TRACK AND FIELD ATHLETES FROM OLYMPICS? With the World Anti-Doping Agency finding Russian track and field athletes guilty of systematic doping, people were asked whether Russian athletes should be banned from next year’s Olympics. 77% said only athletes testing positive should be banned, with just 14% saying the whole Russian track and field team should be banned. The Agency has banned the guilty athletes from international competition. Rick Gentile and Seth Everett talk about the results. This poll was conducted by telephone November 16-18 among 879 adults in the United States. The Seton Hall Sports Poll is conducted by the Sharkey Institute. Phone numbers were dialed from samples of both standard landline and cell phones. The error due to sampling for results based on the entire sample could be plus or minus 3.3 percentage points. The error for subgroups may be higher. This poll release conforms to the Standards of Disclosure of the National Council on Public Polls. Fan Duel and Draft Kings, two daily fantasy sports websites, were ordered to cease doing business in New York State last week because they were deemed to be gambling sites. Do you agree with the decision by NY State or disagree? Do you think participation in daily fantasy sports is a form of gambling or is it a game of skill? Internet betting on sporting events is illegal in most states. Do you think playing daily fantasy sports on the internet should be illegal as well? Do you think betting on sporting events on the internet should be illegal? A number of states, including New Jersey and California, are discussing regulating of daily fantasy websites. Do you think these sites should be regulated by state governments? The University of Missouri football team threatened to strike and forfeit a game if the president of the university didn’t resign over his remarks about racial tensions on campus. Do you think a school sponsored sports team should involve itself in campus politics? College football generates enormous profits for many universities. Do you think college football players should be compensated beyond the scholarships they receive? Russia has been banned from international track and field competitions pending a doping investigation of athletes and officials. If the allegations prove to be true do you think all Russian track and field athletes should be banned from next year’s Olympics, or only Russian track and field athletes who test positive for performance enhancing drugs should be banned? There was just a terror attack at a soccer stadium in Paris. How concerned does this make you in regard to attending a sporting event in a large venue in the United States? This entry was posted in College, DFS, Fantasy Sports, Football, Gambling, General News, Level, Poll Results, Professional, Sport and tagged DFS, Football, Gambling, Missouri Football Team, Missouri State, Olympics, Pay for Student Athletes, Russian Doping, Seton Hall Sports Poll, Sharkey Institute, Terrorism Concerns Sports Stadiums on November 19, 2015 by Michael Ricciardelli. Rick Gentile and Seth Everett discuss the latest findings in Seton Hall’s Sports Poll, covering DFS in Advertising and baseball’s World Series vs. NFL in public preference. This entry was posted in Advertising, Baseball, Fantasy Sports, Gambling, Podcast and tagged Advertising, Baseball, Draft Kings, Fantasy Sports, NFL, Seton Hall Sports Poll, World Series on November 3, 2015 by Michael Ricciardelli. South Orange, NJ, October 29, 2015 — Despite ongoing investigations by the Justice Department and the FBI into whether daily sports fantasy games are a form of gambling, the American public is divided on whether commercials for those sites should be appearing in televised sports events. The poll has a margin of error of 3.5%, making the result a statistical dead heat. “The ads from DraftKings and FanDuel are ubiquitous,” noted Rick Gentile, director of the Poll, which is sponsored by The Sharkey Institute. “They are definitely a new and impactful part of the sports landscape. It happened, seemingly, overnight. But there is certainly no hard push-back by viewers about running these ads. Only 4% of respondents said they participated in a baseball fantasy game. The Poll also asked if sponsors who promote products (such as fantasy sports), in an environment where its athletes are forbidden to participate (college athletes may not gamble), should not be allowed to advertise on any college sports. By 59% to 34%, respondents said they should not. A similar margin – 56%-36% – felt that beer advertising should not appear on college sports telecasts. (It currently does). The Poll also noted that the NCAA has said the ads will not run during their college basketball tournaments, and 47% felt that was a good decision, versus only 30% saying it was a bad decision. (23% did not know). This entry was posted in Baseball, Basketball, College, DFS, Fantasy Sports, Football, Gambling, General News, Level, Poll Results, Professional, Uncategorized and tagged Advertising, Alcohol Advertising College Sports, DFS, Draft Kings, FanDuel, Fantasy Sports, Governor Chris Christie, NCAA Tournament Ban on DFS Ads, Seton Hall Sports Poll, Sharkey Institute on October 29, 2015 by Marty Appel. Perhaps, as the International Business Times has noted, there’s an element of backlash against Daily Fantasy Sports (DFS) from a public bombarded by its advertising: The New York Times reported that Fan Duel and Draft Kings spent “more than $27 million for about 8,000 television spots in the opening week of the N.F.L. season”; according to iSpot.tv, which tracks national TV advertising spending, in the last seven days of this week Fan Duel alone spent an estimated $11,234,816 on 1,662 buys –-enough to garner it 6th place—behind Geico, Ford and AT&T, but ahead of Verizon, iPhone and Toyota and all but, well, only five other companies in the entirety of the United States. Which is to say, DFS ads are everywhere –- and If you are a sports fan they have, for good or ill, become a part of your life. And beyond a generalized level of annoyance, maybe part of the difficulty DFS now faces (and it faces some major and mounting difficulties) is rooted in that message they spent so much to have tattooed within the popular psyche— which is to say, to some extent, they may have been hoist by their own petard. Two ads or aspects of DFS ads immediately come to mind for me: 1) a young man who says he deposited a total of $35 and has won over $2 million; and 2) another man who, also a winner, says that the only difference between him and all the people who didn’t win is that he played and they didn’t. Which sounds to me, a bit like an ad for a lottery. And, it seems, other people—attorneys general, district attorneys, legislators, the Department of Justice, the FBI, media networks and even the heads of college athletic leagues — are beginning to have questions of their own. Whether or not the lobbyists can hold the wolves at bay and/or self-regulation will ultimately be deemed by the powers that be to be sufficient, I do not know; but I do know this: win, lose or draw it’ll be an expensive proposition, but even more expensive with a loss. Going forward, DFS might want to consider the impact of its messaging and the importance of a consistent narrative. And, when it comes to its legislative, lobbying and lawyering efforts, DFS had better hope it picked the right team. This entry was posted in College, DFS, Fantasy Sports, Gambling, General News, Professional and tagged DFS, Fantasy Sports, Seton Hall Sports Poll, Sharkey Institute on October 28, 2015 by Michael Ricciardelli. This is the year that American sports fans have become accustomed to seeing advertising for fantasy sports games (involving the selection of players), while viewing live sports. While sports long embraced a “No Betting” concept with fans, the operators of such companies as DraftKings and FanDuel persuaded regulators that their games were games of skill, not gambling per se. But the American people are not buying that argument. According to a Seton Hall Sports Poll conducted this week, 52% of Americans believe them to be a form of gambling, with only 31% believing them to be games of skill. The margin remains the same among categories of respondents that should know the difference: those that have gambled before, participated in fantasy sports and even those that paid money to participate in fantasy sports, with all categories saying it is a form of gambling by a range of 50-54%. 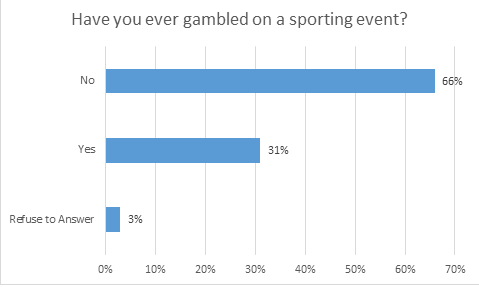 By a margin of 41% to 47% against, people are saying that these games should not be advertised during live sports coverage, though this is not as one-sided as the 29% to 59% that are against advertising gambling on the direct outcome of the games themselves. The Seton Hall survey found that 19% of respondents have participated in a fantasy league, a daily fantasy or both, while 13% have participated in the last 12 months. This is almost a threefold increase compared to February 2006 when 5% gave an affirmative answer in the Pew Social Trends Poll. “This topic figures to remain an important one in the sports universe for the foreseeable future,” said Gentile. 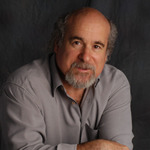 This entry was posted in Advertising, DFS, Fantasy Sports, Gambling, General News, Poll Results, Sport and tagged Advertising, Draft Kings, FanDuel, Fantasy Sports, Football on October 1, 2015 by Marty Appel.